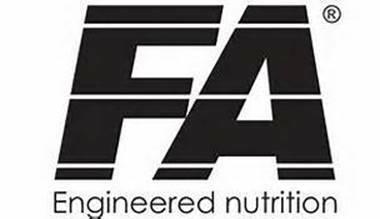 Liz Gaspari CEO , Sports Supplement brand builder , co owner of FA Engineered Nutrition , Former VP Gaspari Nutrition is heading to the 2014 Super Bowl in one of GBK’s renowned and luxurious gifting suites. NEW YORK - Jan. 24, 2014 - PRLog -- The event will be hosted by GBK and Direct TV and take place Super Bowl weekend January 30 through February 1 in New York City. Liz Gaspari will be gifting their F.A. Nutrition Supplements, Lipocore, one of the hottest and most effective fat burners to hit the shelves, to all VIP invited guests and selected press outlets. Past GBK events have included big name celebrities and athletes such as Blake Griffin, Blake Lively, Khloe and Kourtney Kardashian, LL Cool J, Ron Artest, Terrell Owens and more. Leveraging its longstanding strategic partnerships with many of today’s biggest brands, GBK has the ability to provide fun, trend-forward gift bags. Liz Gaspari has been entrenched in the nutritional supplement industry for over fifteen years and her success has made her into one of the most powerful and influential people in the sports nutrition industry. Liz’s portfolio includes taking the Gaspari Nutrition brand from a regional supplier and turning it into a global presence. She is responsible for helping to build Gaspari Nutrition into a monster business that has generated over 100 million dollars a year in sales. Over the years, Liz has single handedly developed massively successful vendor relationships domestically and abroad. Her strong business experience coupled with her ability to build solid and long lasting client relationships, helped Liz break International barriers and placed her product into the good graces of retailers across the globe. In addition to running her day-to-day business operations, Liz Gaspari is also a dedicated and loving mom and philantropist. She manages to balance her work time with family time and believes in bringing symmetry to all aspects of her life.